Head librarian Kathy Johnson stands at the redesigned service desk of the downtown Lansing branch of the Capital Area District Library. 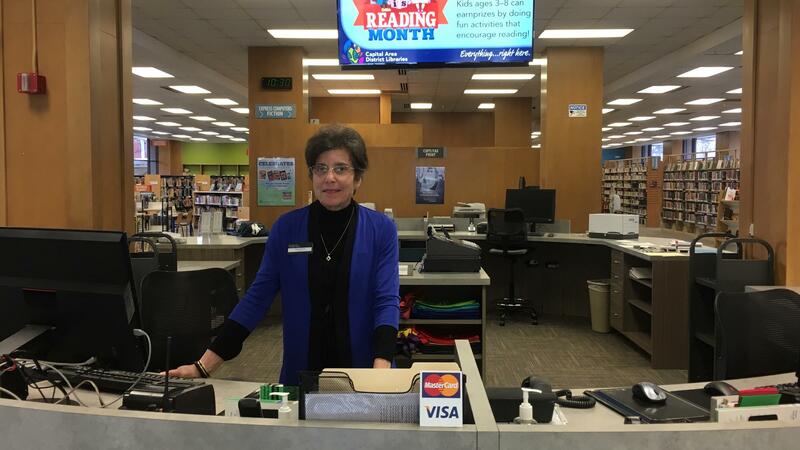 The Capital Area District Library branch in downtown Lansing reopens Monday after a major renovation. The $670,000 project has been completed on time and on budget. Head librarian Kathy Johnson points to the highly polished terrazza at the entranced with pride. Self-serve holds near the door will help people dash in and out without risking a parking ticket. There now is one service desk on the first floor, where visitors will find circulation staff librarians and assistants. "We used to have three public service desks, but we now have one on this floor and one on the other floor," Johnson explains, "with staff that can do anything for them." Another change on the first floor brings new fiction and non-fiction books and DVDs to one location. 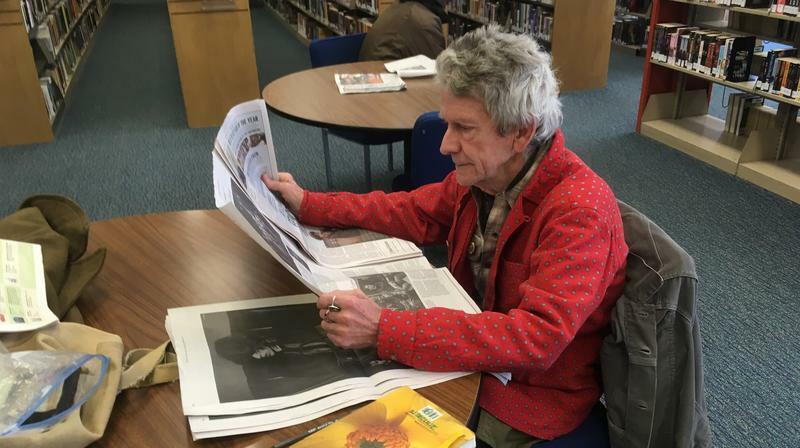 Johnson says "before, we just had the new fiction down here, and people had to go upstairs to see the new non-fiction. We wanted all the new stuff easy and accessible for quick browsing." A floor to ceiling glass wall has been removed, creating a more wide open space. New signage will help guide visitors to their destinations. The children's area has also been revamped. The furniture has been rearranged so that it's more welcoming for people getting from one section to another. Up on the second floor, visitors will find lots of new furniture and redone tables, complete with power outlets. The second floor rest rooms have been renovated and are now handicapper accessible. 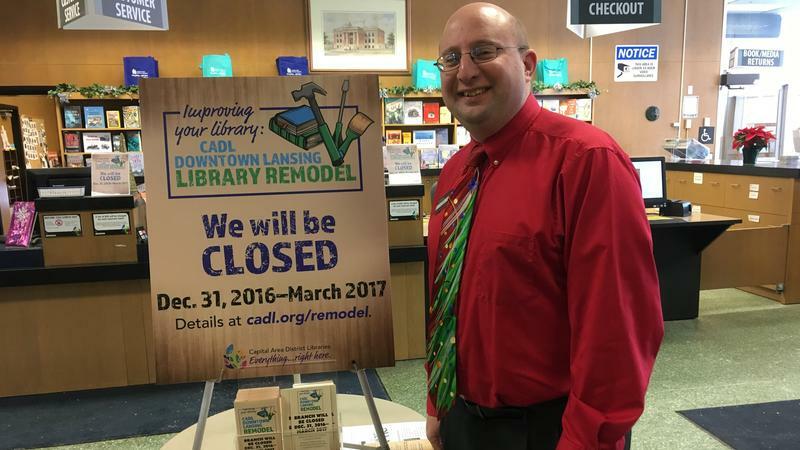 The downtown Lansing library reopens Monday at 9 a.m.